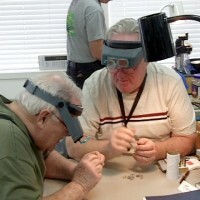 Learn Faceting at the Faceting Academy! or hobby working with precious gems! 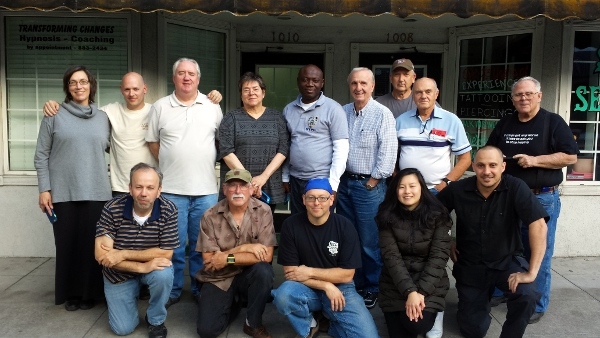 What is the Faceting Academy? In our BASIC TRAINING, total beginners will learn – in just a few fun and intense days – to select and cut standard materials in standard designs, creating precious jewels nicer than what you will find in most jewelry stores. The gem at right was cut by a beginner in the Basic Training program, using their new machine for the first time. In our BASIC TRAINING, the beginner to intermediate faceter will increase their confidence, efficiency, fun, speed, and profit. By the time they’re done, they’ll have better ergonomics and work-flow, and resolve their problems with dopping, polishing, and transfers. Here’s the actual skills checklist for the course. Most of our BASIC TRAINING students graduate with these skills. 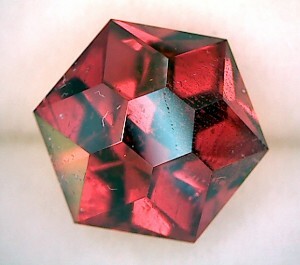 Who is the Faceting Academy for? The Faceting Academy is for people who are excited to cut precious gems as a hobby or business creating beautiful and valuable wearable art. The Faceting Academy is for people who are ready to believe in possibility for themselves and to create their success – by working in a program where we help people do that every year. The Faceting Academy is NOT for people with more excuses than reasons to just be successful; it is not for people who won’t follow experienced coaching; and it’s not for people looking for a get-rich scheme. 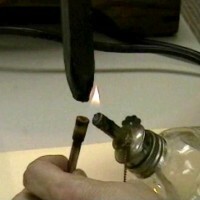 Faceting is NOT a get rich scheme; it’s an esoteric art – that uses some really cool modern gadgets. 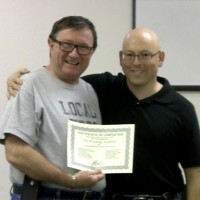 What is Faceting Academy Training Like? INTENSE: Most of the days run 10 or more hours – with instruction, conversation, discussion, questions and LOTS of hands-on doing of every skill. PERSONAL: Seating is limited to around 10 people, so everyone gets loads of personalized, one-on-one attention that really makes the difference. And, everyone in the room benefits from every question – and every problem is solved in real time. COLLABORATIVE: People often learn best when they can exchange ideas and discover new things with someone. Many of our learning projects provide opportunities to work together exploring artistic possibilities. DETAILED and SYSTEMATIC: Everything I do is systematic, so it works every time. We teach the details of my systems – both in faceting systems and personal development and communications – with exact explanations of WHY they work so reliably. PROJECT-BASED: Just like the real world, where you want to produce a finished gem. The majority of your time will be hands-on with the tools and materials, completing project after project that installs and combines skills to prepare you for fun productivity. MENTOR-BOOSTED: Even though the class size is very small, we invite selected graduates of the course to return as experienced mentors – increasing the personalized hands-on assistance, and broadening the perspective and experience you’ll be learning from. FUN and EXCITING: We have a light and friendly class. We train within walking distance of many eateries and accommodations. We share loads of stories and bring perspectives from other parts of life into the experience. And, someone is always achieving a new goal – or showing off their newest completed stone, keeping the excitement and motivation high! PROFESSIONAL-LEVEL: We reveal the secrets used by professional and master-level faceting artists to maximize return and value. Our graduates can do more than just cut a stone. They know how to evaluate a rough, orient it, and select the best design – as how to grind and polish it. 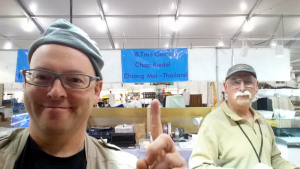 This is Faceting Academy Graduate and returning mentor Ron Skog, at his booth at the Tucson show (22nd Street show) in 2016. 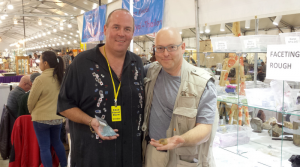 I’m checking out the art of Faceting Academy Graduate Mark Stephan in the Tucson Gem Show at Hotel Tucson. You can see more of his work here. 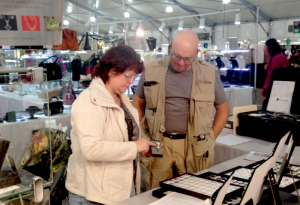 Faceting Academy Graduate and Gemologist Kate Pleatman is showing me some of her ring designs at the Tucson Gem Show (22nd St show) where she was doing identification, appraisal, repair faceting and custom cutting on-site. You can see more of her work here. What will I learn at the BASIC TRAINING class? The average total beginner will go home ready to sit down and confidently cut and polish simple designs (Here’s the actual skills checklist for the course.) – and to explore more complicated designs without getting lost. Should I still take a “basic” class? Experienced faceters can download our Skills Checklist to see if they should attend BASIC Training – or if they have the foundation to dive into our Advanced Courses. It’s just one page – check it out! BASIC TRAINING program comes with its own full-color manual full of photos – and a collection of training designs to keep you busy – both at the class and after you get home. BASIC TRAINING will include all the rough you will use at the training – and some to keep you busy after you return home. It can’t be easier or more affordable to get geared-up and to get the training you need to have fun cutting precious stones. To make things easier, I’ve set up some great discounts and bonuses – so whatever your level or ambition, you can join the elite group of people that will be here, learning at this level. 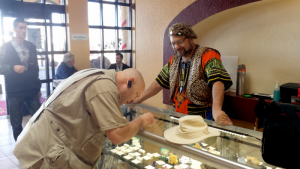 What will I RECEIVE at the Faceting Academy? All the rough you need to complete the experiments and projects on-site. Some rough to let you continue your fast-paced learning after you get home. All the books and manuals required for the courses. Extensive reference material and plenty of designs. Hour upon hour of intense instruction, demonstration, conversation, humor, encouragement – and valuable networking. 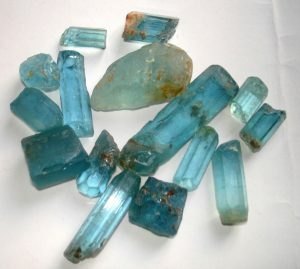 Experience working with a professional rough dealer and selecting rough as you will at major shows later. Personalized and individual instruction, helping you maximize your personal progress toward your specific goals. Mentoring from returning Academy Graduates. Hands-on assistance with your machine or tools. New friends, networking partners, and affiliates to help you succeed. We’ve got multiple international rough dealers who are Academy graduates – and there’s a tight, private network and camaraderie in the group. An ongoing opportunity to network resources, make purchases, sales, and get work done by people with additional expertise in gold, marketing, etc – on a rapidly growing and global scale. Great memories of a real adventure learning and growing your horizons with other great people.